Metrocurean has the details on the taco place from Masa 14 opening on the same block on 14th street. First, a name: El Centro D.F. and second, an opening date: by Cinco de Mayo. The D.F. stands for Distrito Federal, the naming convention in chef Richard Sandoval’s home town, Mexico City. Metrocurean reminds us that El Centro D.F. will offer take-out tacos, a sit-down restaurant, and a bar or lounge in the basement. 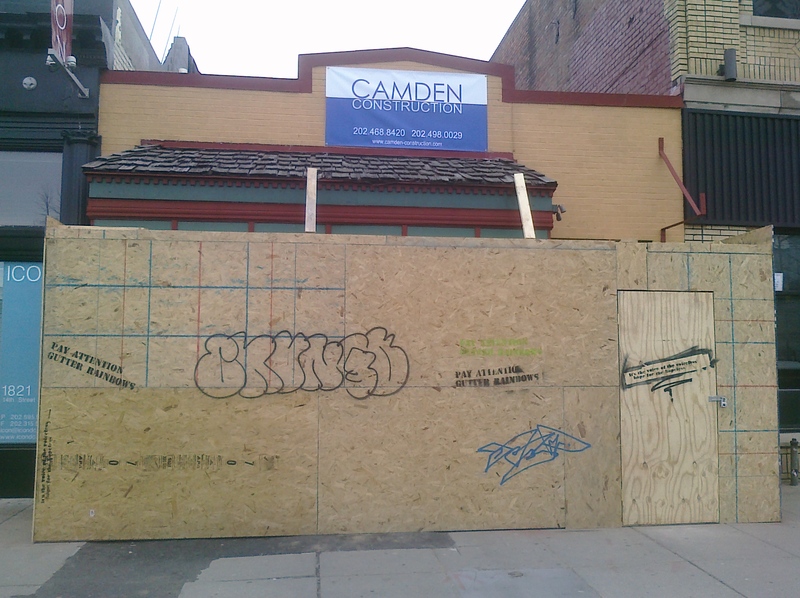 It seemed like for a while nothing was happening at the forthcoming taqueria on 14th street. However, I walked by this weekend to see this, so it looks like movement is beginning again. The taqueria, from the owners of Masa 14 started construction last summer. Let’s hope it opens soon. Sommer Mathis from TBD got her hands on the floor plans for the taqueria coming to 14th and S by the people behind Masa 14. The restaurant will have three floors: a bar/lounge/restaurant in the basement, a bar and grill with a late-night carry out spot on the first floor, and a 99-seat rooftop patio/deck. Additionally, the restaurant just got unanimous backing from the ANC 1B commission on their liquor license. No timeline, however, on when they’ll open. Let’s hope soon! There have been rumors that the new taqueria coming on 14th street is from the owners of Masa 14. The name on the permit for the taqueria is Andrew J. Kline – the same lawyer who represents Masa 14. 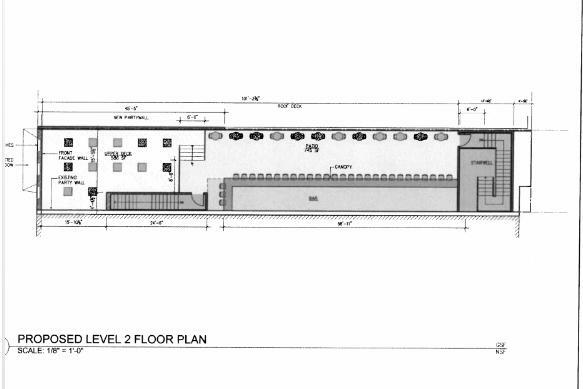 While Andrew Kline represents a lot of entities looking to secure permits, I think the above facts speak strong enough that I can safely confirm that Masa 14 is behind the taqueria coming to the vacant property. This is very exciting, glad to see the guys behind Masa 14 expanding. Saturday night, boyfriend and I figured because of the snow we’d be able to get into Masa 14 without a reservation. We were right. We sat down for dinner and were immediately impressed with the service: informative, friendly, not overbearing. The interior is nice, kind of typical (warehouse look with exposed pipes), but I liked the little nooks divided by wooden walls with windows in them. It wasn’t too loud as we arrived on the earlier side and it wasn’t too crowded, but our server said it definitely got louder when they were more busy. We ordered some sake (as I didn’t really want to pay $10 for a cocktail), and then for food got yucca fries, the barbecued eel handroll, Thai chicken flatbread, pulled beef tostada, and the pork belly carnitas (menu here – PDF). The yucca fries were good, but the sauce they came with was OUTSTANDING – I think it was a lime aioli of some kind. I could eat that all day. The barbecued eel roll was tasty but it was kind of tough to eat, it was rolled into a cone and it was a bit awkward. The Thai chicken flatbread was alright, really nothing special though, it was the only thing we left on the plate. 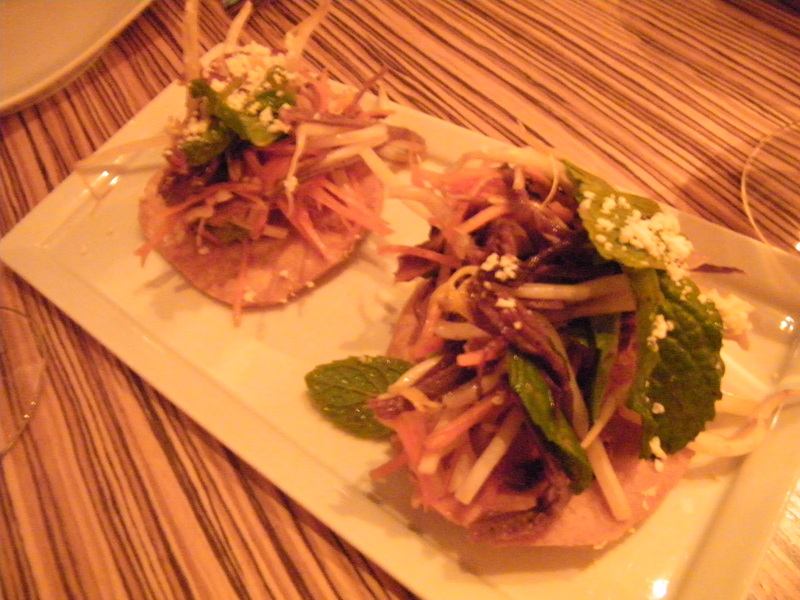 Pulled beef tostada was nice, it had a good balance of crunchy, sweet, spicy, and some acid. 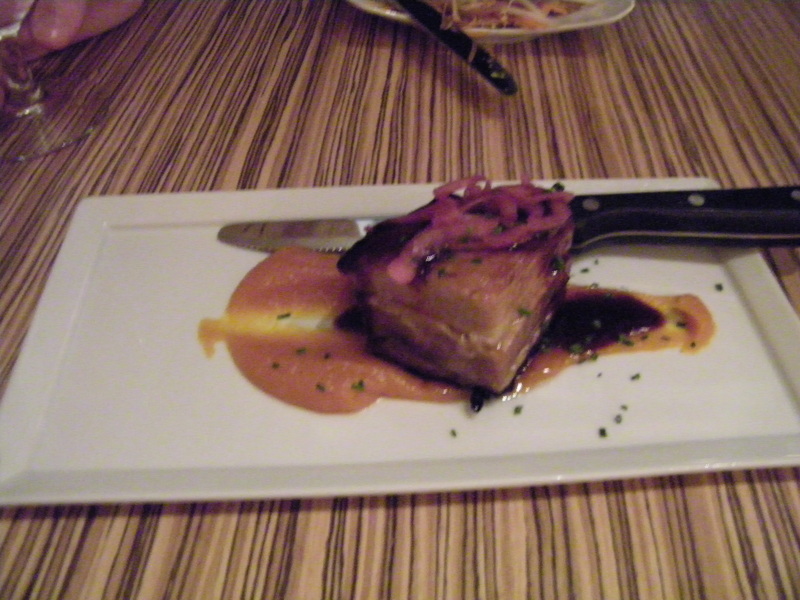 We LOVED the pork belly carnita, which came with a kabocha squash puree and adobo barbecue sauce. We had a chai rum cake to share for dessert, which was a nice end to the meal, not very big and well priced (each dessert is $5). Our waiter told us they’d recently brought in the pastry chef from Zengo (where one of the chefs also cooks). Overall, I found the prices pretty decent, small plates started at $5 and went up to $14. We found 5 dishes were just enough to fill us up, though the plates were a bit smaller than I have had at the many other small plates restaurants in the city. They also have a very good happy hour deal: $4 drinks/appetizers from 5-7 on weekdays. In other news, they just started brunch service this weekend, Metrocurean tweeted that she had some excellent “creamy Anson Mill grits with Oaxaca cheese, flatbread topped with egg, bacon fried rice with fried egg.” Something I’ll have to check out soon. PoP reports that JJ’s World Best Philly Cheese Steaks is opening Friday. WeLoveDC is reporting that Birch and Barley/Churchkey will be opening “soon” (within the next week). I say, I’ll believe it when I see it. PoP hears that a creperie might be coming to the space that was formerly Circle Boutique at 14th and S.
Per a sign I saw outside the restaurant on Saturday (didn’t have my camera). I’ll check it out soon and write up my thoughts. The restaurant has an up and functioning website now, but there isn’t a menu listed.